Article Contributed by Marianne Messina, MA, MFA of American Addiction Centers. The most well-known solution for ADHD in the young is methylphenidate, better known by the brand name Ritalin (or similar brands Concerta, Metadate, Methylin, and Quillivant). In Ritalin’s decades-long history, addressing ADHD issues in school-aged children, such as difficulty with socialization, focus, and performance in school, the medication’s results have been mainly positive. According to expert Glen R. Elliott, Ph.D., M.D., on the website for Children and Adults with ADHD (CHADD), Ritalin and the other methylphenidates have an excellent response rate (85%). But are we now getting dangerously close to “too much of a good thing”? Elliott admits that the long-term effects of the medications have not received ample study, but he also considers ADHD a “devastating” disorder for which the benefits of medication far outweigh the apprehensions. Emeritus Professor in Clinical Psychiatry as well as chief Psychiatrist and Interim Outpatient Director at the Children’s Health Council, Elliott recommends that his psychiatric students at the University of California, San Francisco, view the before-and-after effects of Ritalin treatment before snapping to judgment. “One of the most distressing aspects of ADHD is its persistence,” Elliott says. And while he espouses the stimulant solution, he also cautions against thinking of Ritalin as a cure: “Although the effects are prompt, they are also transient. It is clear these medications do not change whatever lies at the core of ADHD” . The debate over what age and when to prescribe Ritalin has been going on long enough for many of today’s adults to remember their childhood experiences taking the drug, which, on the plus side, may have included miraculous calming and focus, and on the down side could have included tics, rashes, and other side effects. Unlike the amphetamine family of drugs, which will speed up heart and pulse rates and is a favorite of stimulant abusers, Ritalin, a piperidine compound classified by the NIH as a psychostimulant drug, mutes ADHD symptoms by increasing dopamine levels. Furthermore, increased tolerance and addiction occur faster, according to differencebetween.com, on amphetamines than on methylphenidate . 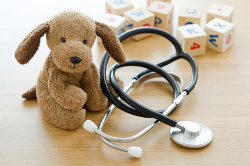 For this reason, Ritalin is considered the safer of the solutions that work to treat ADHD. Elliott points out that stimulants work differently on children versus adults. “In prepubescent children, stimulants enhance attention and focus as they do in adults, but actually tend to reduce physical activity and energy” . However, like fellow psychostimulant, cocaine, Ritalin can be snorted to produce a stimulant high. As an abused substance, Ritalin has much in common with cocaine in terms of both immediate effects and treatment for addiction. But deliberate thrill seeking, while it is an obvious abuse, is not the only type of abuse. The question of unknowns, along with the potential for abuse, brings back into question the age of those who have easy access to Ritalin and similar stimulants. A full 11 percent of those aged 4 – 17 years of age were diagnosed with the ADHD disorder in 2013 (1 in 5 boys), according to the Times article, and the majority of those will be introduced to central nervous system stimulants like Ritalin as treatments for the disorder. These observations concur with a 2011 study indicating that “children with ADHD are two to three times more likely than children without the disorder to develop serious substance-abuse problems in adolescence and adulthood” . A UCLA team of psychologists agreed with this study, but also confirmed Dr. Nora Volkow’s comments, that prescribing Ritalin does not cause the addictions. All these findings suggest not avoiding Ritalin, but finding ways to ensure that Ritalin is used as directed in young populations. Apart from stimulants, ADHD has a recent non-stimulant solution in Atomoxetine (brand name Strattera), a medication used to treat anxiety, insomnia, and substance abuse. Recommended by many adult sufferers of ADHD, and mentioned in a Huffington Post article as one of “Ten Things to do for Adult ADHD” (along with exercise regimens and brain-training through puzzles), Strattera was Introduced to the field in the early 2000s. While it has had success as an appropriate treatment for adult ADHD , it takes effect much like an antidepressant in that it must be taken for some time before the full benefits can be seen. According to Dr. Elliott, “The medication’s big advantage is that it works more smoothly than stimulants, not only throughout the day and evening but also into the next morning.” The mechanism by which it manages ADHD, however, is as yet another unknown , and the formative nature of young minds makes Strattera a less appropriate solution for the young. By adulthood, those with ADHD can also try to manage the disorder rather than treat it. They may seek some form of therapeutic counseling, for which Cognitive Behavioral Therapy (CBT) shows particular promise. Adults can also try to develop strategies that mitigate the impact of ADHD on their work and home lives. 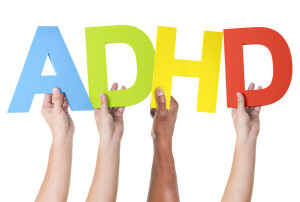 Though these approaches have mixed results, varying widely across individuals with ADHD, the estimated 15 million people  suffering from ADHD are fortunate to have a plan B in solid, proven medication options that are fairly benign – when used within prescribed guidelines.